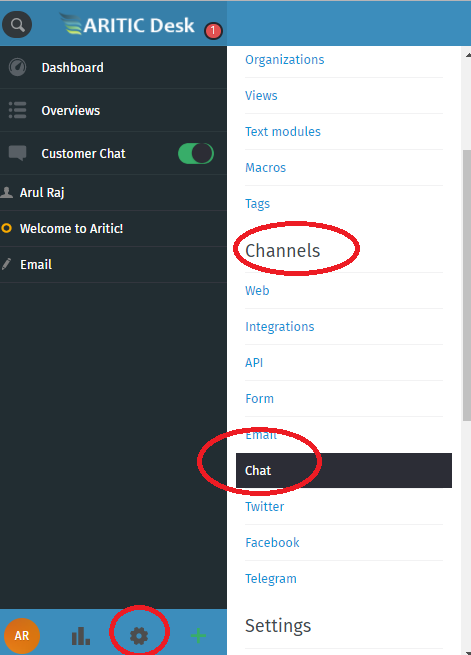 Go to AriticDesk Dashboard > Admin > Channels > Chats. 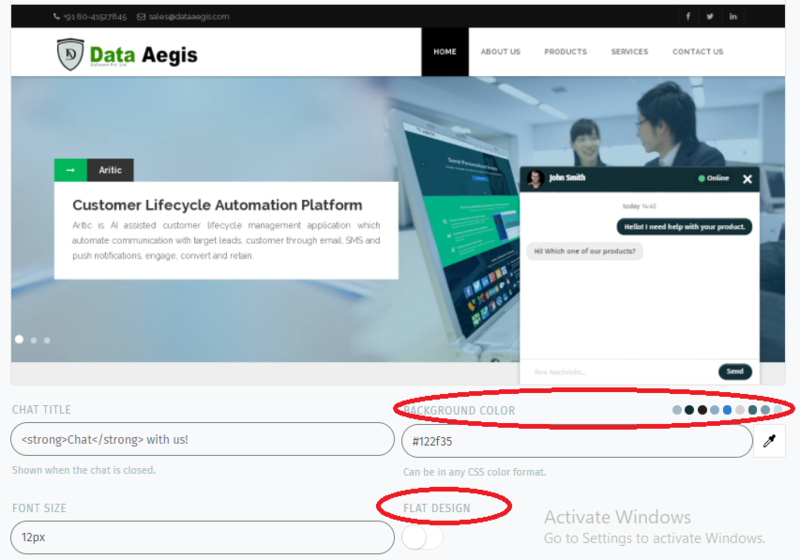 Now, “Enable” the chat option at the top of the page and after enabling that you see the “Customer Chat” option at the left navigation bar of the screen. You need to enable the “Flat Design” option to make the chat box as flatten. At last, you have to insert the widget code into the source code of every page the chat shall be visible on. It should be placed at the end of the page’s source code before the closing tag.